I'm having a difficult time remembering exactly what this picture is... But I think they are designing the look of the Fly for the original film. 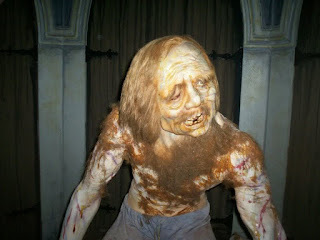 Another beautiful cover of Buffy on Femme Fatales. 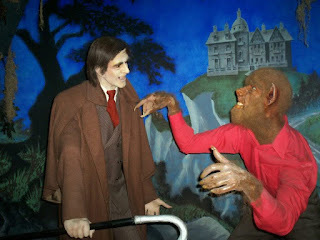 My favorite display from that Musee Conti Wax Museum. 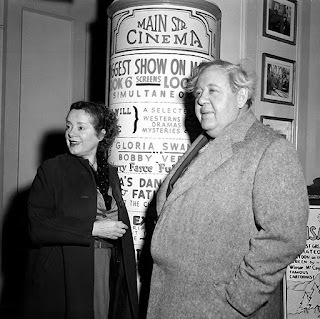 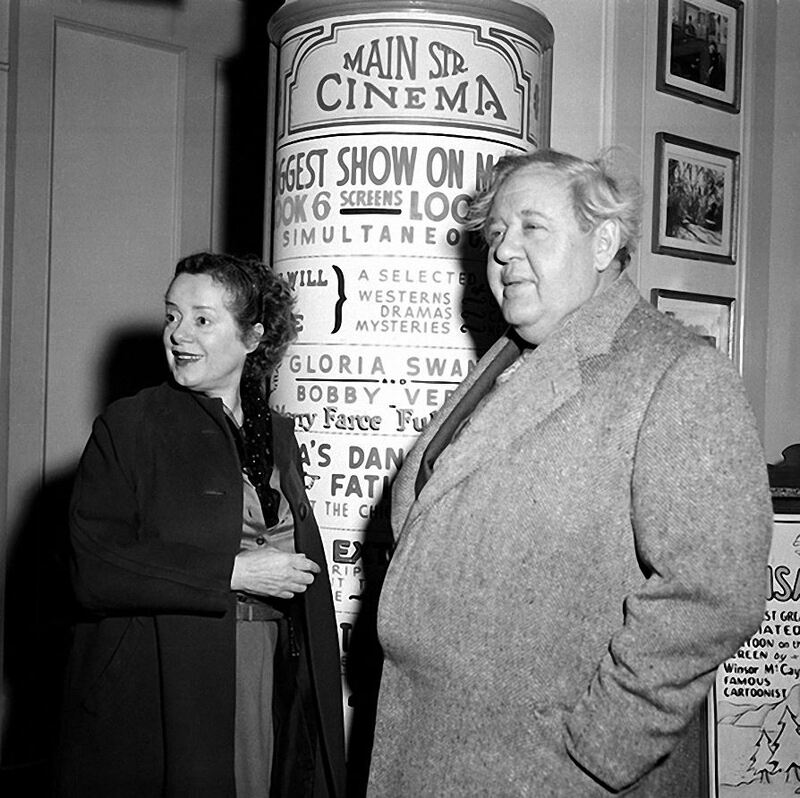 Why it's Elsa (Bride of Frankenstein) Lanchester and Charles (Hunchback) Laughton at the Main Street Cinema at Disneyland! 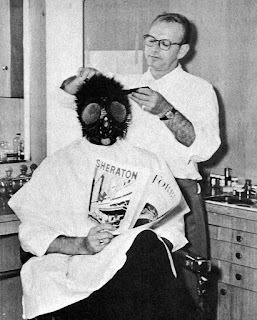 A great behind the scenes photo from "The Fly". A classic Buffy cover on Femme Fatales. 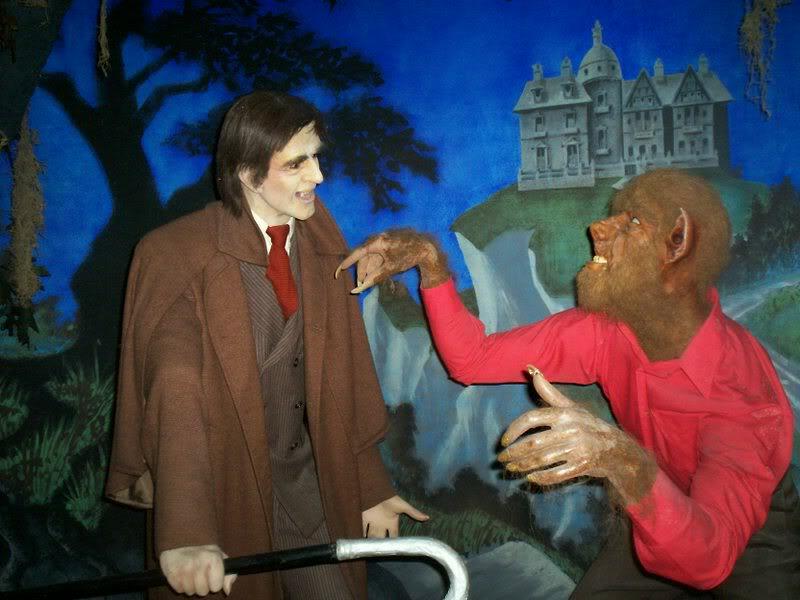 From the Musee Conti Wax Museum formerly in New Orleans, Louisiana. 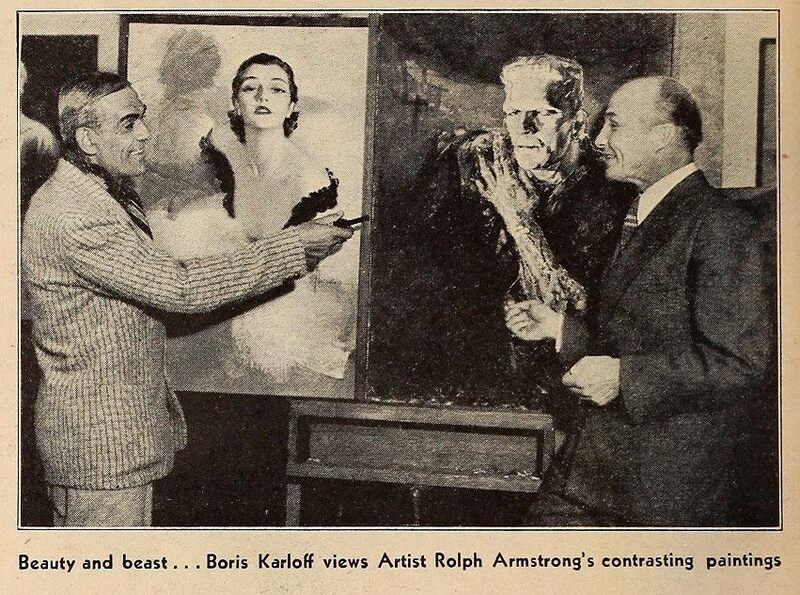 Here's Boris Karloff with Rolf Armstrong, who painted the beautiful portrait of Karloff as the Frankenstein Monster from "Bride of Frankenstein", also seen in the photo. No Talking Business at Supper! 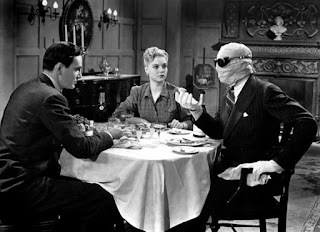 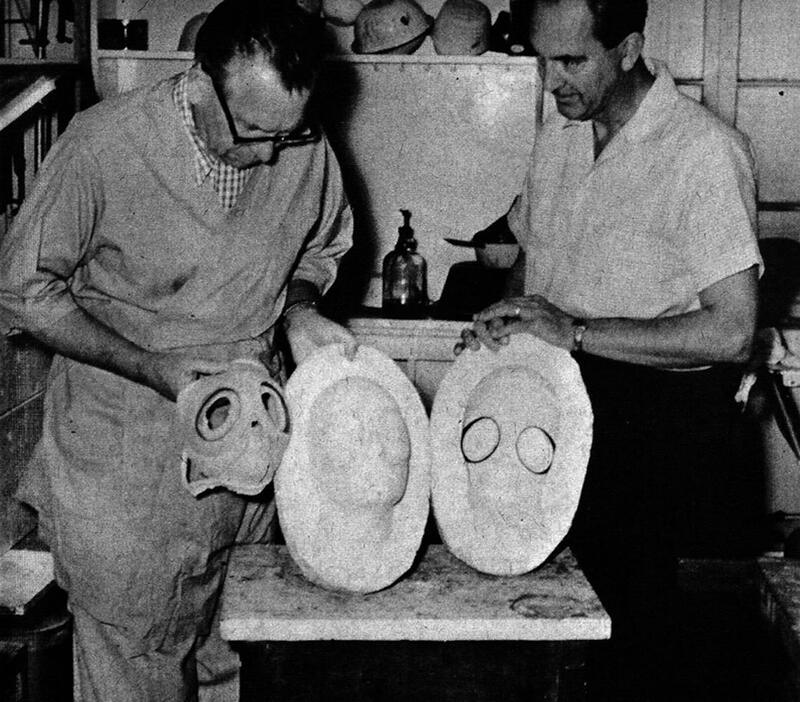 A scene from "The Invisible Man Returns".